Judge David Herndon of the U.S. District Court for the Southern District of Illinois has set a May 2015 trial date for a number of Yaz and Yasmin lawsuits in which settlements have not yet been reached between plaintiffs and Bayer HealthCare. While Bayer has entered into agreements to pay upwards of $1.8 billion to settle lawsuits brought by women who suffered venous clot complications including pulmonary embolism and deep vein thrombosis after using the contraceptive drugs, a large number of cases involving arterial clots and other injuries still require final resolution. Judge Herndon’s order regarding an MDL trial date has potential implications for roughly 2,500 cases currently pending against Bayer, all of which pertain to venous clot injuries and many of which have shown themselves to be more difficult in terms of achieving Yaz settlement agreements. The true cause of the impasse was the subject of judicial speculation, with Herndon wondering whether one or both parties have declined to engage in good faith negotiations from the start or just recently. Regardless, Yaz lawyers for multiple plaintiffs have requested that a typical “bellwether” case selection process be undertaken, during which a handful of lawsuits undergo preparation for trial. The purpose of such early trials is to help litigants assess how well their evidence and legal arguments are likely to be perceived by juries in subsequent cases, possibly facilitating faster resolution of these matters on a broader scale. In the face of these developments, Bayer announced that it would no longer agree to a “Lexecon waiver.” This means that the drug maker would assert its right to prevent cases in which proper original venue was somewhere other than the Southern District of Illinois from being heard by Judge Herndon in his MDL oversight capacity. The company stated its belief that cases originating elsewhere must be remanded to their home courts following the completion of discovery. However, Judge Herndon found that the Court could move forward and set MDL trial dates in a number of Southern District of Illinois cases involving arterial clots and patent foramen ovale complications. Forty such cases have been identified, with comprehensive discovery processes set to begin. 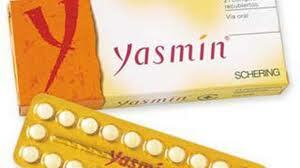 Yaz and Yasmin were initially introduced to the market as representing real breakthroughs in oral contraception. Touted as safe, effective methods of birth control, drug maker Bayer also claimed that these medications could lessen the effects of adult acne as well as premenstrual dysphoric disorder. Unfortunately, the impressive marketing assertions soon gave way to an onslaught of adverse event reports concerning very serious, often life-threatening side effects such as blood clots, pulmonary embolism, deep vein thrombosis, stroke, gallbladder disease and heart attack. Ultimately, the alleged risks of Yaz and Yasmin have been largely substantiated, as evidenced by a series of FDA warnings, investigations and mandatory labeling changes. Since then, a wave of litigation has ensued, with thousands of women accusing Bayer of marketing a defectively designed and manufactured drug, failing to warn consumers of known risks, fraudulently concealing known hazards, negligently misrepresenting the drug’s benefits and breaching implied and express warranties. While it is true that Bayer has already agreed to pay a staggering amount to settle thousands of existing cases and has earmarked many millions more to address gallbladder injuries stemming from these drugs, there are many more lawsuits yet to reach resolution. Bayer’s public pledge to review venous clot and other types of Yaz and Yasmin matters on a painstaking, case-by-case basis virtually guarantees that litigation relating to these contraceptive medications is unlikely to fully conclude any time in the near future.